Since the early 1970's, the number of overweight children ages 12-19 in the United States has doubled, and the number of overweight children ages 6-11 has tripled. Today, this issue is considered by many the number one risk to children's health. Kids in the Kitchen is an AJLI project designed to promote healthy lifestyles for children around the world in an effort to battle childhood obesity. For the past 5 years, the Junior League of Schenectady and Saratoga Counties has teamed up with the Boys & Girls Club in Schenectady to create a program which promotes fitness, cooking and nutrition. The Junior League 2016/17 Provisional Class was comprised of seven hard-working, independent women from many various backgrounds who worked diligently to develop and implement this community project that addresses childhood obesity in the area through education and hands-on activity. The class successfully completed their Kids in the Kitchen community project . They developed a one hour long educational and activity session, in which students learned about healthy eating, prepared a snack, and participated in a small fitness activity. They partnered with Price Chopper, Fresh Market, Target, Walmart, MVP Health Care, and dietitian Kerry Hardy for donations and resources to prepare the session. The provisional class ultimately visited two after school programs in both the Schenectady and Saratoga service areas. They presented to 50 students total between grades 3 and 8. Each student was sent home with a bag stocked with items to learn more about healthy eating and fitness, including Kids in the Kitchen t-shirts and cookbooks. The schools visited, Schenectady Middle School and Schuylerville Elementary, were very grateful for the group’s time and energy, and would be happy to have us back in the future any time! 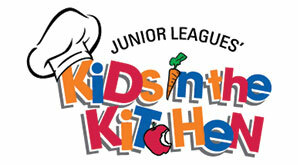 For more information about the Association of Junior Leagues International's Kids in the Kitchen initiative, please visit their website at www.kidsinthekitchen.ajli.org.